Caorle is an ideal holiday destination all year round. 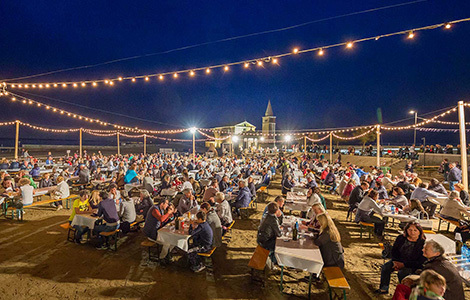 The packed calendar of events in Caorle means you’ll be spoilt for choice. There’s something to suit all tastes: from sport and food to singing competitions and evenings dancing on the beach. The independent film festival has become a key date in the diary. During the three days of the event, there are numerous screenings (all free), roaming initiatives, discussions, concerts every evening, and a big awards night. This event has proved to be a big hit with both athletes and the public. 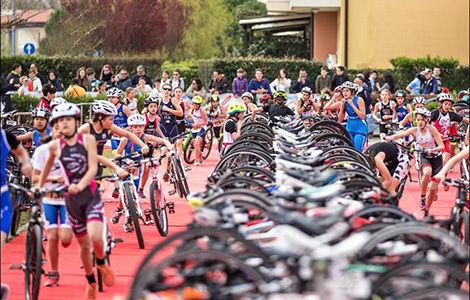 It takes place in stunning surroundings and the swimming leg on the open sea encompasses the municipality’s three big beach resorts: Caorle, Porto Santa Margherita and Lido Altanea. It’s a great opportunity to enjoy the sport and have a truly special day in a spellbinding setting. 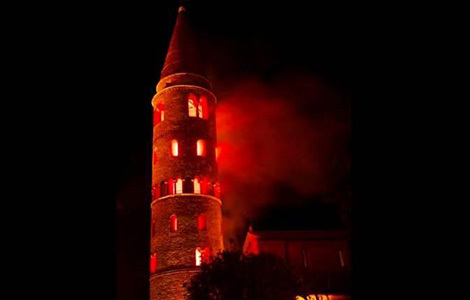 As part of an ancient coastal tradition whose origins have been lost in the mists of time, every other weekend in July an artificial fire burns in Caorle’s round bell tower. It is perhaps one of the most popular summer events in the resort. Worshippers from all over the North East of Italy and other countries flock to Caorle to witness the spectacular display. Every year, Caorle is one of the stops for a travelling music festival that moves up and down the Veneto coastline. Come and dance on the shore on an exciting evening full of great tunes by Italian and international artists. 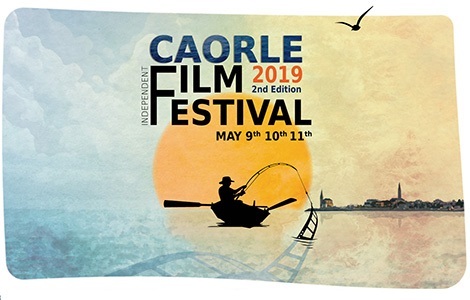 During the summer, Caorle also plays host to part of the festival’s selection process for up-and-coming young talents. 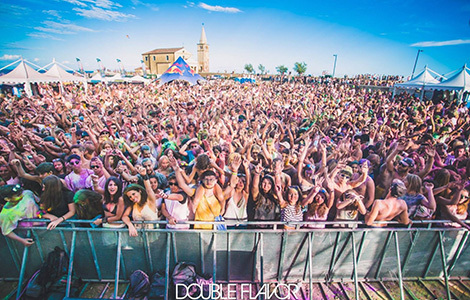 The biggest dance event of the summer is unquestionably the Double Flavor Music Festival on Levante beach. Numerous top DJs and singers from the local area get everyone dancing for hours with breathtaking performances. It all takes place in the magnificent surroundings of Sacheta beach, right next to the Sanctuary of the Madonna dell’Angelo. 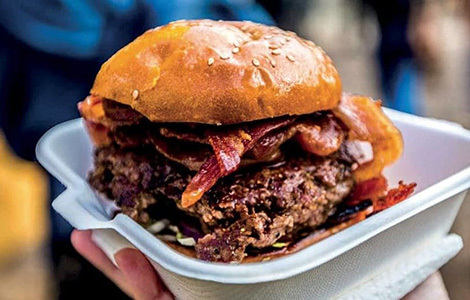 This outstanding event is much more than a standard street food festival. You’ll find a vast range of exquisite dishes in Caorle, with authentic Veneto flavours alongside wonders from all over the world. In addition, every evening the crowds have an unbeatable time watching live performances by guests playing top summer tracks. 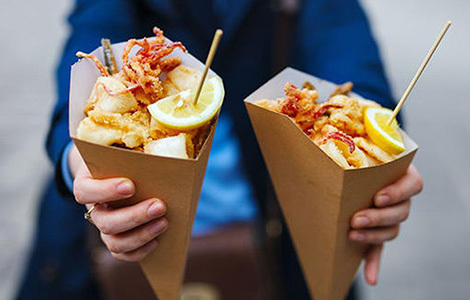 Every September, thousands of food lovers head to Caorle for the most quintessential display of the local traditions: the fish festival. Savour seafood in countless forms: fired, grilled with polenta or in sauce, in rich appetizers and in mouth-watering rice and pasta dishes. It is a treat for the eyes as well as the palate, because it takes place on the enchanting Sacheta beach next to the Sanctuary of the Madonna dell’Angelo. 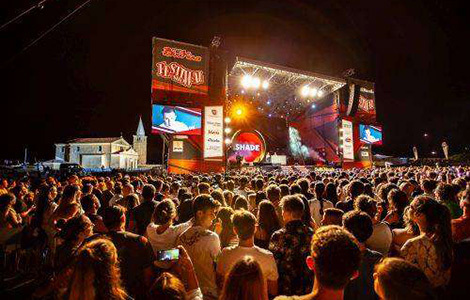 Live music and shows add to the list of attractions at this exceptional event in Caorle. In addition, things are spiced up by ambitious amateurs and professional chefs battling it out in a cooking competition!